This year’s Pantone color of the year was awarded to ultra violet. We love to see the fun ways that people have been incorporating color into the designs of their spaces. 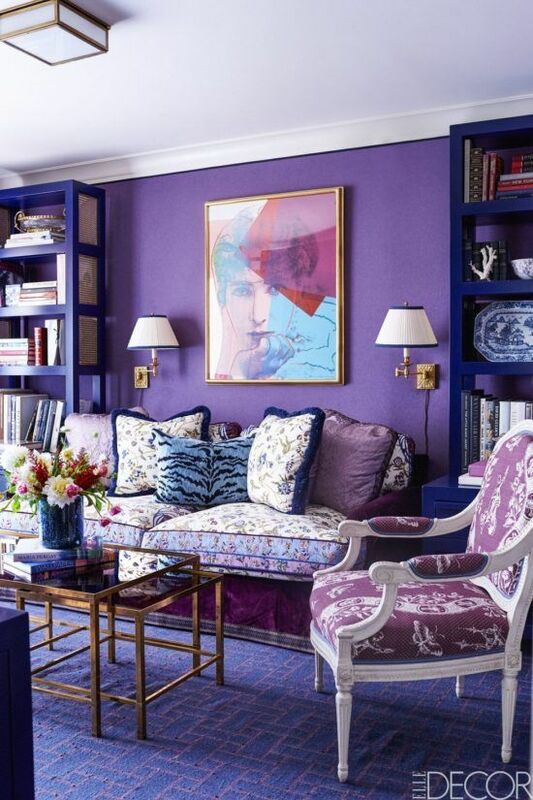 The bright purple walls in this sitting space are accentuated by variations of the same purple and blue tones. This space has both contemporary and traditional design elements working together to create a funky, eclectic look. We love the idea of doing a bold color on the ceiling! This variation of ultra violet has a little more red in it, creating a warming overall tone. Some ultra violet hued Togo chairs are a fun and casual way to dress up a space. 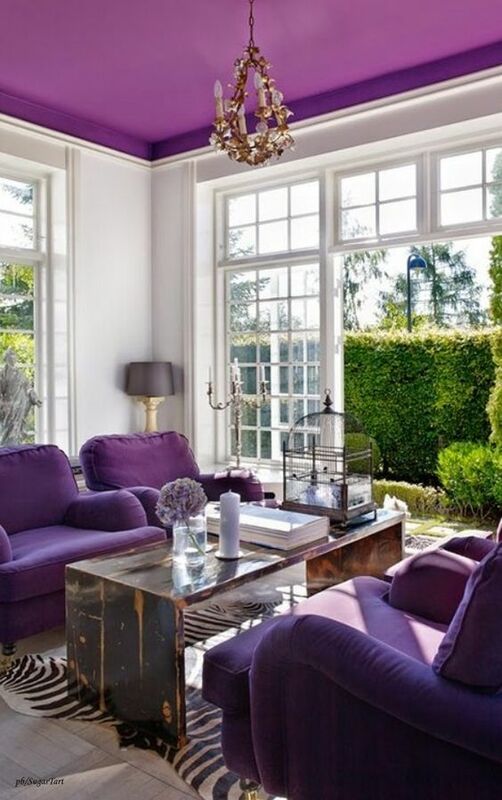 A good way to use the color ultra violet is as a pop of color in an accent chair or sofa. 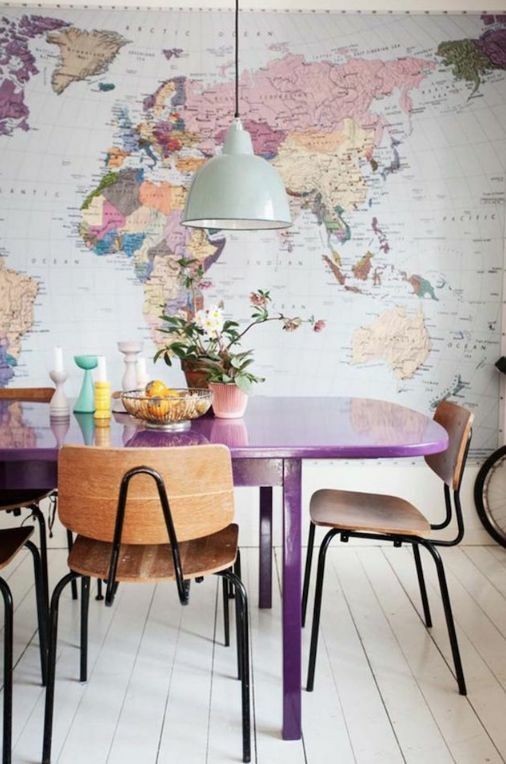 A sweet and unexpected touch is found in this ultra violet painted dining table. The warm toned wood chairs work so well with the vibrant purple color. 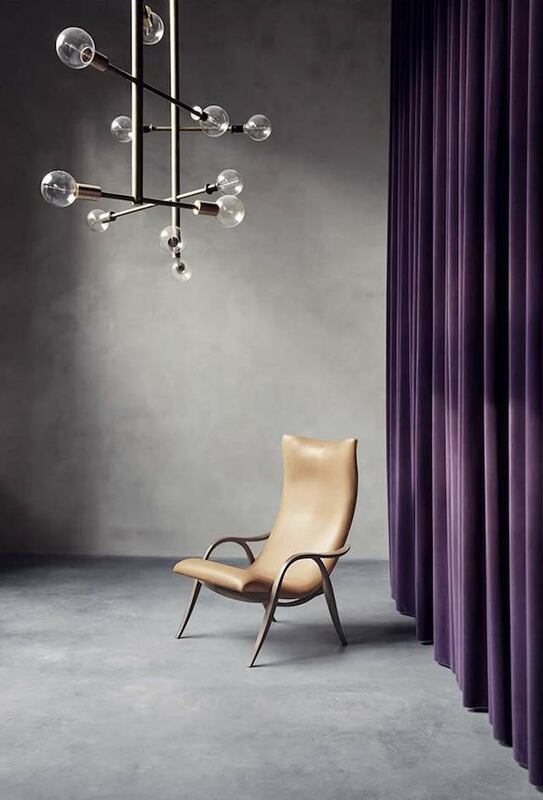 To add some elegant drama to your space, you could opt for rich, velvet draperies in a dark ultra violet plum tone. This example shows how versatile this color is and how it can be used to add mature, luxurious elements to your space or playful quirky ones!